Forgot Password or need to Register? Our current lead time is approximately 3 weeks. 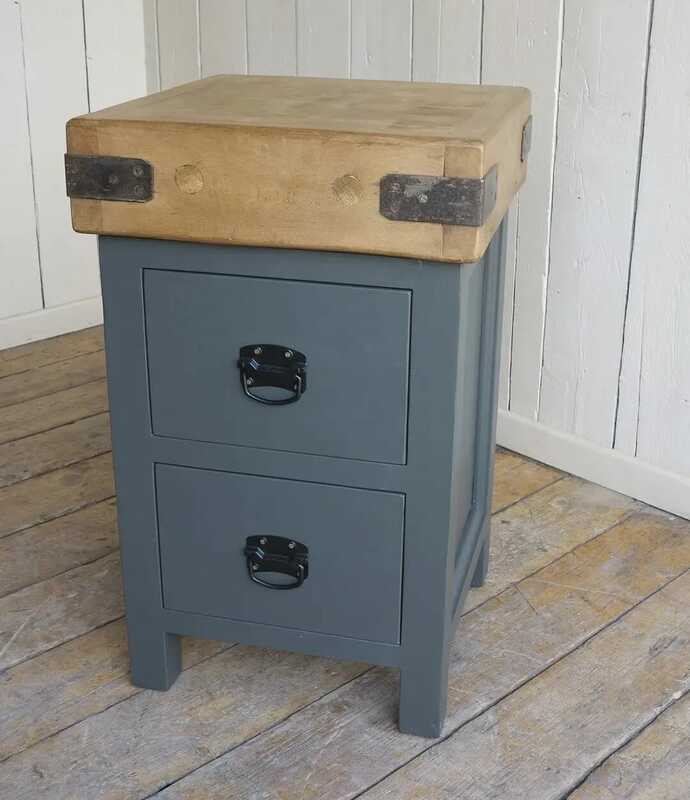 This particular butchers block base with top has the specifications: 60cm Long x 60cm Deep x 100cm Tall with drawers painted in RAL 7022. 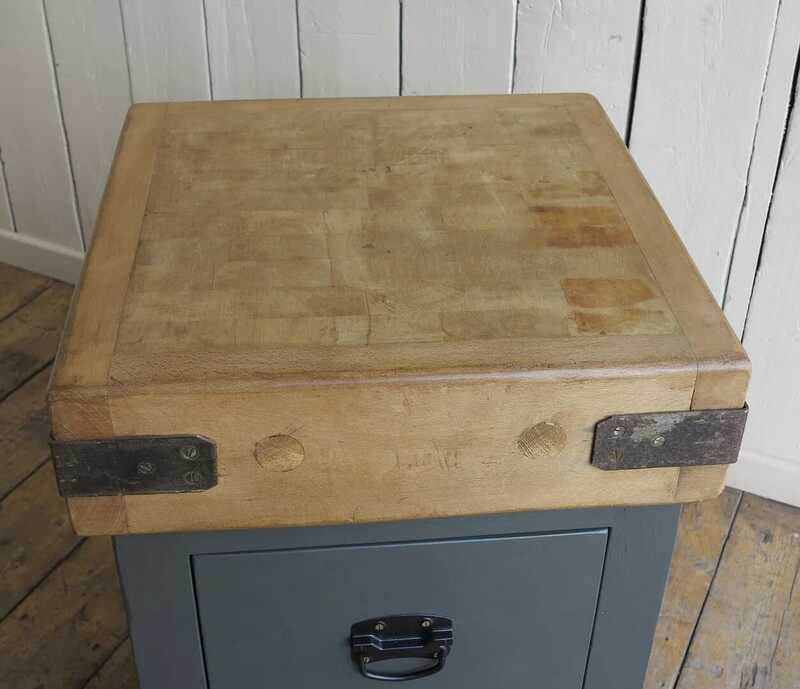 For the same price you can have this item waxed in a finish of your choice. 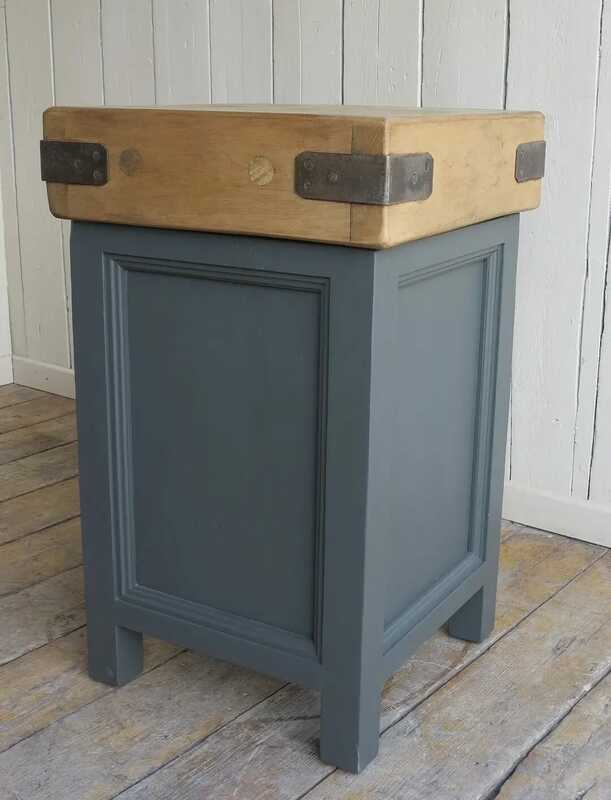 Our team refurbish the original tops by hand and we always have a large selection of reclaimed tops available. We include the remaining tin of paint for touching up. If you choose a waxed finish we will give you a tin of wax and a mutton polishing cloth. However for an additional cost we have a wide range of options available i.e. 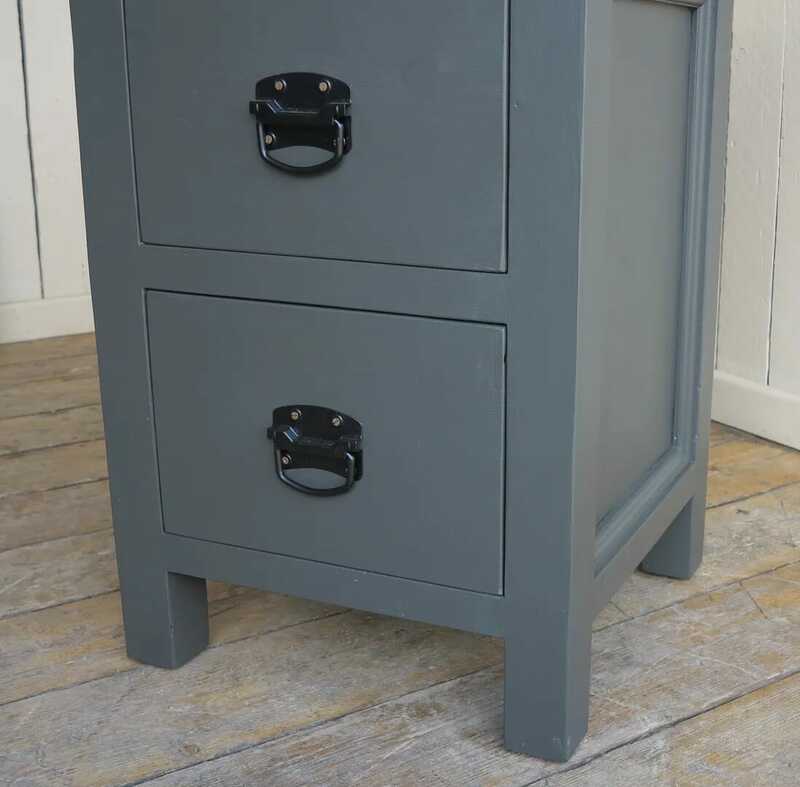 drawers, base styles or you design it and we will make it. Please feel free to contact us for any help or advice. 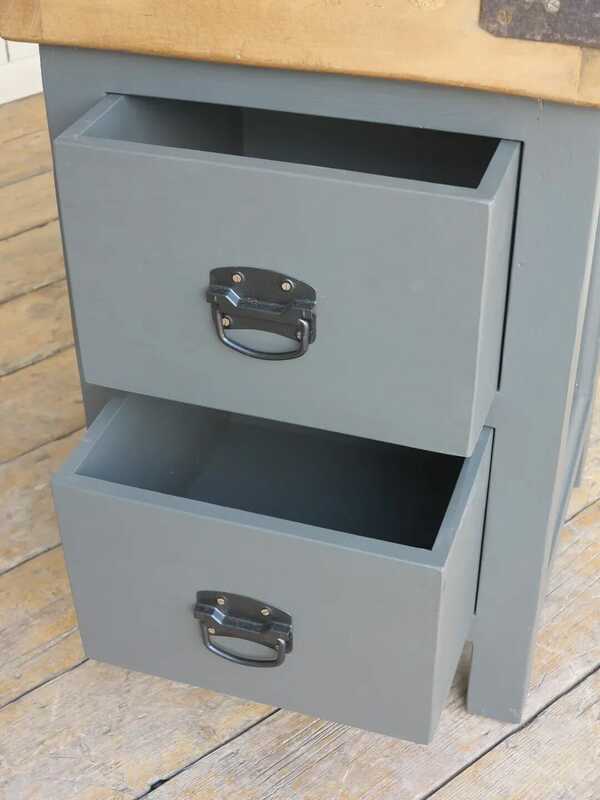 We manufacture this item to your own requirements. As a result, the price and shipping shipping rate can vary. For more information on how to purchase this item, please contact our sales team by calling the office. If you prefer you can complete the form below. Sign up to the UKAA mailing list and we’ll send you details of any new stock that may interest you, so you don’t miss out.